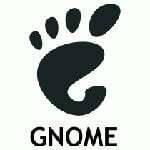 Linux comes with GPL licensed open source apcupsd server ( daemon ) that can be used for power mangement and controlling most of APC’s UPS models on Linux, BSD, Unix and MS-Windows operating systems. Apcupsd works with most of APC’s Smart-UPS models as well as most simple signalling models such a Back-UPS, and BackUPS-Office. During a power failure, apcupsd will inform the users about the power failure and that a shutdown may occur. If power is not restored, a system shutdown will follow when the battery is exhausted, a timeout (seconds) expires, or runtime expires based on internal APC calculations determined by power consumption rates. Need to get 0 B/291 kB of archives. After this operation, 672 kB of additional disk space will be used. Selecting previously deselected package apcupsd. Loaded plugins: product-id, protectbase, rhnplugin, subscription-manager Updating certificate-based repositories. Unable to read consumer identity 0 packages excluded due to repository protections Setting up Install Process Resolving Dependencies --> Running transaction check ---> Package apcupsd.x86_64 0:3.14.10-1.el6 will be installed --> Finished Dependency Resolution Dependencies Resolved ==================================================================================================== Package Arch Version Repository Size ==================================================================================================== Installing: apcupsd x86_64 3.14.10-1.el6 epel 299 k Transaction Summary ==================================================================================================== Install 1 Package(s) Total download size: 299 k Installed size: 1.3 M Is this ok [y/N]: y Downloading Packages: apcupsd-3.14.10-1.el6.x86_64.rpm | 299 kB 00:00 Running rpm_check_debug Running Transaction Test Transaction Test Succeeded Running Transaction Installing : apcupsd-3.14.10-1.el6.x86_64 1/1 Installed products updated. Verifying : apcupsd-3.14.10-1.el6.x86_64 1/1 Installed: apcupsd.x86_64 0:3.14.10-1.el6 Complete! 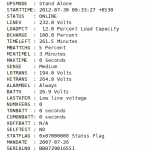 If during a power failure, the remaining runtime in minutes (as calculated internally by the UPS) is below or equal to MINUTES, apcupsd, will initiate a system shutdown. Note: If you have an older dumb UPS, you will want to set this to less than the time you know you can run on batteries. 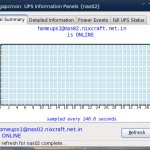 Set IP address on which NIS server will listen for incoming connections. You need to configure this setting to any specific IP address of your server and NIS will listen for connections only on that interface. Use the loopback address (127.0.0.1) to accept connections only from the local machine (default). You can test your ups or read test results. How do I start apcupsd server? 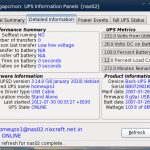 How do I see current status of my UPS? 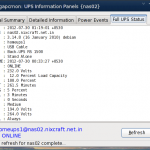 How do I view ups events such as power failure? 2012-07-29 07:08:52 +0530  Power failure. 2012-07-29 07:08:54 +0530  Power is back. UPS running on mains. 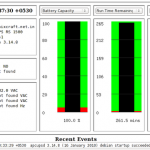 2012-07-29 11:24:32 +0530  Power failure. 2012-07-29 11:24:35 +0530  Power is back. UPS running on mains. 2012-07-29 14:34:43 +0530  Power failure. 2012-07-29 14:34:47 +0530  Power is back. UPS running on mains. man page – apcupsd, apt-get, and yum command. Is there a way to do the server config easily? I’m not understanding that part of this. But the panel has a XFCE-power-manager 1.0.11 on the panel. apcaccess returns nada in the termnal. Terminating due to configuration file errors. 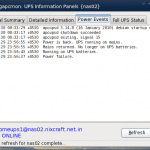 Starting UPS power management: Terminating due to configuration file errors. Stopping UPS power management: No process in pidfile '/var/run/apcupsd.pid' found running; none killed. Also check your config file as it has some errors. That’s awesome, thank you for this greet post. First I tried the APC PowerChute. But it just doesn’t seem to work with USB. Then I found your post and my problems were solved. Dec 07 12:54:41 pinot-noir systemd: Started APC UPS Power Control Daemon for Linux. what if were using the rj45 cable (Cat5) for the smart ups connected to the switch. what will we define the type of cable connecting the UPS to your Linux serve? As svm mentioned last December, this handles one UPS. I have two – one for each power supply. How do we set things up to handle this use case? Great post! Many thanks. Set up a new APC BX1500G on my home network. The APC chat support said it supports only Windows monitor apps. But I wanted to use a nearby raspberry pi for the job. Your post worked perfectly under the raspian OS. The pi will inform other servers when to shut down. Thanks again. It saved me a ton of time. As both Shaun and Svm mentioned, if you have multiple UPS’s, how do you configure this? Mine only sees one of the two. 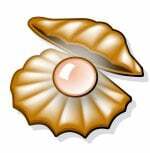 Hi, I’ve implemented well on Debian. And I have configured BIOS motherboard to power up PC when energy return. It sends email on power out, power back, and shutdown events. But how could I make it to send email when the power come back after a shutdown was made by exhaust? Something regards apcupsd? o just when Debian boot up? What would be the best choice? Any advice? Thanks so much! Worked perfectly for a very old Smart-UPS SC420 under Debian. 1. 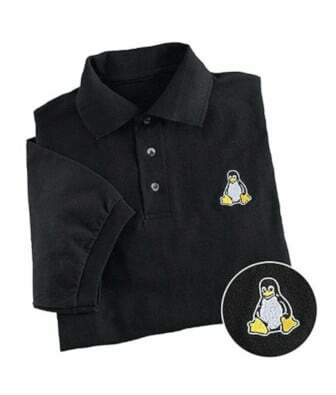 The customer need to check and confirm their Linux OS has compatible with the our PCNS OS compatibility Chart . 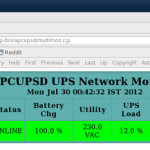 2.The UPS already having the Network Management Card 2 and connected with their Network and monitoring the UPS. Network management card is available and needs to connect the network. So will help us to connect the network. Both are the same network.